Home Solutions Midwest installs professional-grade and multi-family windows and doors from top manufacturers like ProVia and Andersen. Our products are customized to your exact specifications for a better fit and more secure, energy-efficient performance. We install replacement windows for hospitals, storefronts, offices, hotels, light commercial and multi-family properties. We pride ourselves on our high-quality workmanship and customer service. 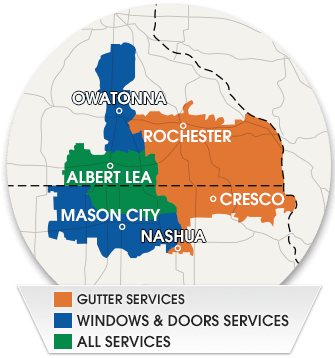 This is one of the reasons why we've been a trusted window replacement contractor in Southeast MN & Northern IA since 1979. The commercial products we install not only provide the same beauty and performance as our residential products, but they are designed with unique features for added strength and durability. The windows and doors we install exceed testing for many industry standards, including impact, acoustic and fire ratings and security. 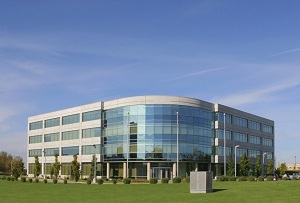 If you have a commercial windows and doors project in Rochester, Northfield, Mason City or the surrounding area, contact the experts at Home Solutions Midwest to discuss your needs. We will send one of our specialists out to take a look and provide you with an estimate for the cost of window replacement. Call us today at 1-844-665-0388 to get started.